A typical Colombian breakfast can be very simple. Many times it’s served with “parva”, which is any ingredient that has carbohydrates like bread, buñuelos, pandebonos, those types of things. Other times it is served with arepa and a chorizo, morcilla (blood sausage), or eggs on the side, usually scrambled. And in order to make the eggs less boring, you can add onions and tomatoes to make them into huevos pericos or parakeet eggs. 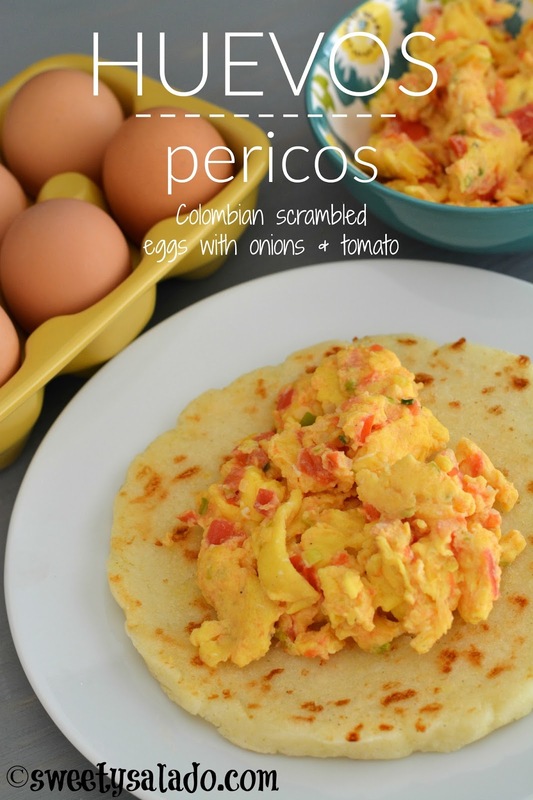 ¿And why the name of “huevos pericos“? To be honest, I have no idea, but that’s what we call them in Colombia and are very easy to make. I like to beat the raw eggs and season them with salt and pepper first before I throw them in with the hogao, which is made with onions and tomato. But others like to add them directly to the pan and then scramble everything together. Each person has its own way of making them. Some other day I will tell you about the “perico” or parakeet, which is what we call a cup of coffee with milk in Medellín. And why do we call it “perico“? Go figure. In a medium bowl, beat the eggs with the salt and pepper. Heat the olive oil in a large pan on medium heat. Add the onion and garlic and cook for 2 minutes. Add the chopped tomato and cook for 5 or until it's softened. 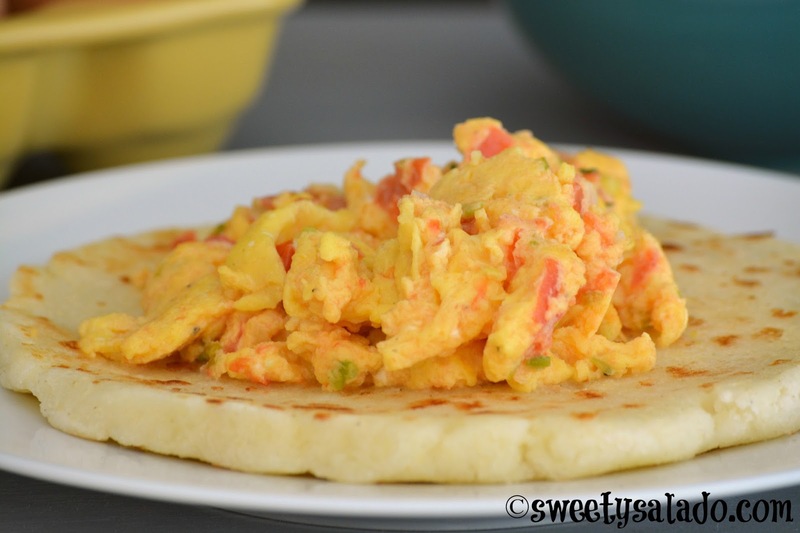 Pour the beaten eggs into the pan and stir gently until the desired texture is achieved. 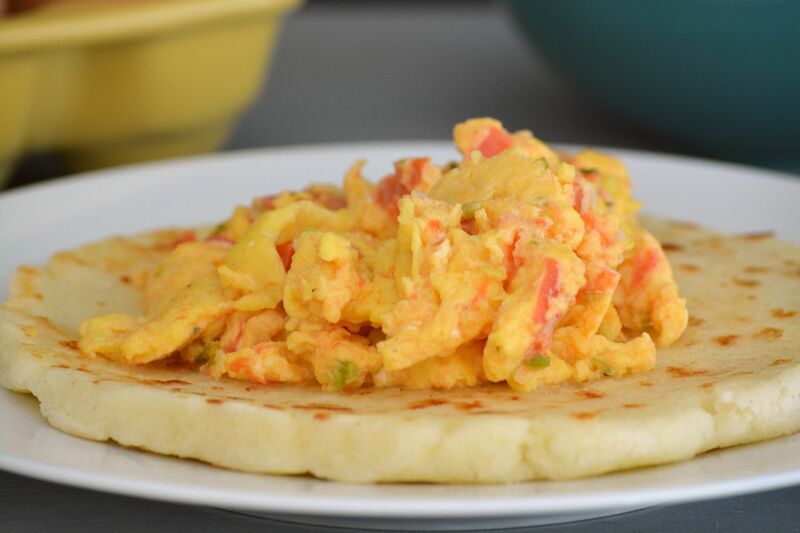 Serve immediately with Colombian arepas.